Marketing is the heart of growth for any business. It is definitely necessary to showcase a product in the most astounding way to get it sold. Now-a-days, with needs getting extinct and wants being pampered by an array of products, businesses face a hard time wooing customers into buying their stuff. Innovative marketing practices come handy in this competitive scenario. 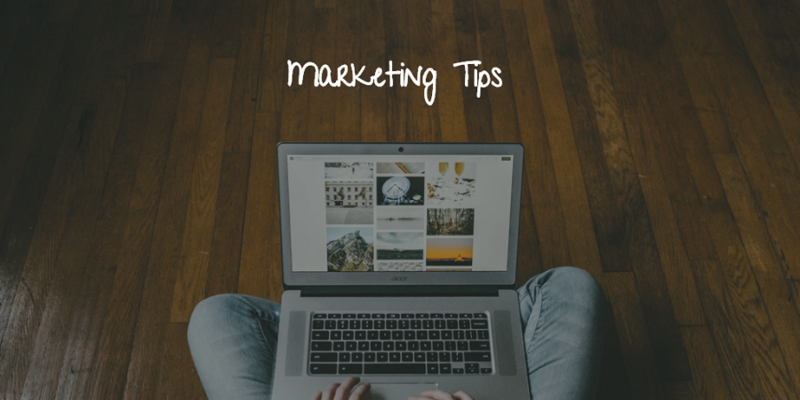 Here are 5 awesome tips to dress your marketing practices to make your offering look the very best and get them sold at the best value. In an age when the internet has spread out its branches to the remotest geographical locations, it is absolutely necessary to be an active member of this fabulous medium. Having a website would enable global customers register your existence and reach you with ease. A website also adds to the authenticity of a business. Moreover, it is like having a business representative stay awake 24/7, throughout all the 365 days of a year and represent your business on the global platform. Having a website is definitely not an option if you aim towards taking your business global. Whenever you want to look for something, Google is the first aid that comes to your mind. Google would be the first option for your customers as well! That makes the importance of search engines obvious. Search Engine Optimization is a wonderful marketing tool. It goes low on resources needed and the pay-offs are high. Being present on the first page of search engines increases the chances for business conversions by a considerable percentage. You can also consider getting listed in India Business Directory for getting heightened exposure. Being alert to how the tastes of your customers change is the crux of a successful business. Adapting is mandatory. Be aware of how your customers are morphing in their behaviour, the places they have started visiting, the food they have started liking, the colours they have started wearing….many more such details. Being aware of all this and reacting to them can help you understand how to tweak your marketing strategies for a better business reach. And this applies both to local and global businesses. Social media is also an important facet of SEO. Social Media is the current redefinition of word-of-mouth. Be sensitive to what your customers are talking about, which the hottest topic is and which discussion is trending. Staying abreast with your competitor and customer activities on social media can really help you a long way in reaching them more fluidly. Even when ways to market products and services have undergone drastic transformation, with technology playing a huge role, some conventional practices still remain unbeatably evergreen. Pamphlets, flyers and brochures are some of them. Reading about your business online is a lot different from reading about it on a fluttering piece of paper. Business card is yet another important printed business collateral that can’t be simply rolled out. It is important to focus on the design and print quality of these collaterals. Somehow, the poshness and personality of a business is spoken out through the quality of print materials that it has to showcase. Neglecting innovation while thinking about marketing, is a blunder. Sticking to age-old practices and copying the efforts of competitors do not pay off in the long run. And while the World Wide Web has promised to take businesses online, a fact worth remember is that the competition status on the global platform is equally deep. Hence, just looking towards a good online presence for wholesome marketing is a folly. That has to be supported by other conventional and contemporary marketing practices. Technology Leap: How is it helping the Entrepreneurs of Today?